‘We perceive GE Aviation not just as a leading vendor of jet and turboprop engines and components. They stand out as a reliable partner of our Group of companies, and our partnership has been strengthened over many years through our successful Antonov 124 charter operations and Boeing 747 scheduled services for GE companies. 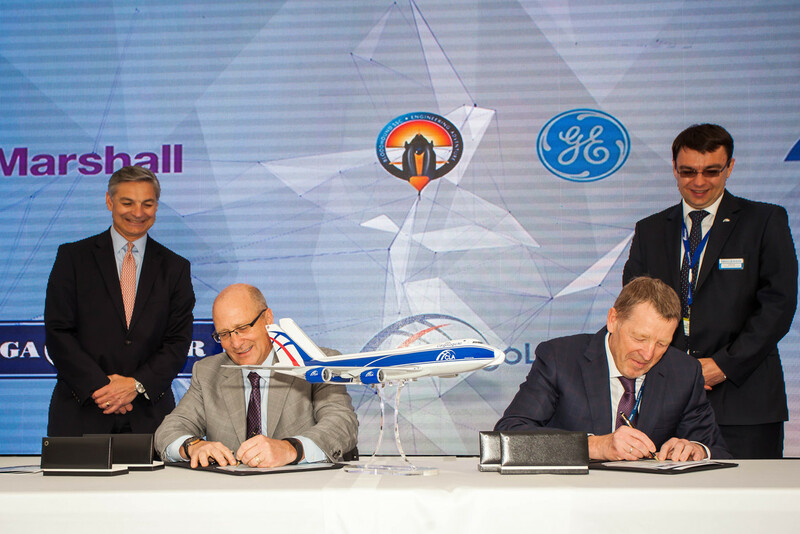 By signing this partnership agreement, we undertake to further develop the global air transportation market by offering our customers state-of-the-art logistics solutions to deliver their goods anywhere in the world,” said Alexey Isaykin, President of Volga-Dnepr Group.